The fifth was killed by an elephant and later "devoured" by a pride of lions, park officials said in a statement. More than 8,000 rhinos have been killed in the past decade. Five suspected poachers entered Kruger National Park in South Africa last week to kill rhino living there, according to authorities. "Entering Kruger National Park illegally and on foot is not wise, it holds many dangers and this incident is evidence of that," said Glenn Phillips, managing executive of Kruger National Park. The four alleged poachers who survived were arrested and will appear in court "in due course," the statement said. They will remain in custody until Friday, pending bail, reported Times Live, a South African news site. 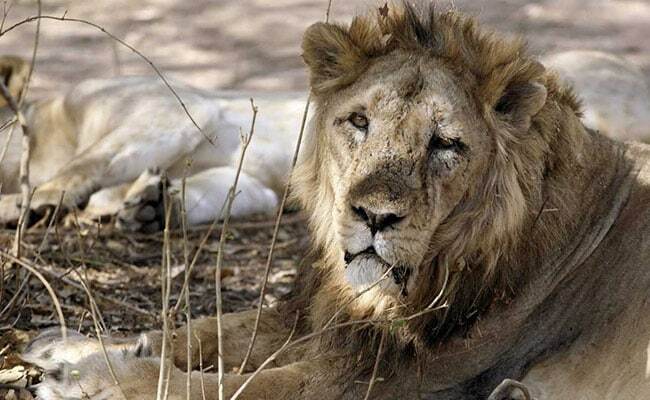 Authorities have launched an investigation into the alleged poacher's death and accomplices. Police Brig. Leonard Hlathi told Times Live that the elephant attacked "suddenly," killing the man. "His accomplices claimed to have carried his body to the road so that passersby could find it in the morning," Hlathi said. "They then vanished from the park. " The suspected poachers called the dead man's family, which then called Don English, regional ranger for Skukuzu - the most popular game reserve in the country. English assured the family that he would "do everything possible" to recover the body, according to the park statement. A search party, including rangers on foot and a crew with the South African National Parks air wing, scoured the area Wednesday but did not find the man. They resumed their efforts Thursday and found the man's remains in the Crocodile Bridge area of the park, near the Crocodile River. The area, according to the Kruger National Park website, is known for its high concentration of lion prides. It also houses a larger percentage of the park's rhino population. "It is very sad to see the daughters of the diseased mourning the loss of their father, and worse still, only being able to recover very little of his remains," Phillips said. When the other suspected poachers were arrested, authorities seized two .375 hunting rifles and ammunition. The men were charged with firearm possession and ammunition without a license, conspiracy to poach and trespassing, Times Live reported. South Africa is home to the continent's largest rhino population - about 20,000 of the 25,000 living in Africa. And it holds nearly 80 percent of the world's rhino population.